Lord Killinan was President of the IOC from 1972-1980, a vital and highly charged period covering the 1976 Games in Montreal and the 1980 Games in Moscow. This book is his comprehensive account of his experiences. Categorieën: Olympische Spelen, Taal, English. Tags: IOC, Lord Killanin, Olympic Games. My Olympic Years. President of the International Olympic Committee 1972-80. 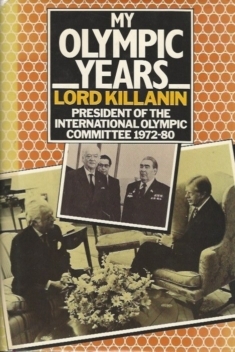 Lord Killinan was President of the IOC from 1972-1980, a vital and highly charged period covering the 1976 Games in Montreal and the 1980 Games in Moscow. This book is his comprehensive account of his experiences.